Leeds United left-back Charlie Taylor is set to join Burnley, the YEP understands. The defender will end a 14-year spell with Leeds and complete a transfer to Turf Moor following the expiry of his contract at Elland Road. Taylor joined Leeds’ academy at the age of nine and made over 100 appearances for the club’s first team but his is moving on after running down the three-year deal he signed in 2014. That contract end today, June 30, and Taylor is expected to take up a contract with Burnley from tomorrow, July 1. United are entitled to compensation due to Taylor being under the age of 24 and the fee is set to be decided by tribunal with Burnley yet to agree a valuation with Leeds. West Bromwich Albion were close to signing Taylor earlier this month but withdrew from talks after failing to finalise a fee. United believe they will earn in excess of £5million for Taylor through a tribunal decision having brought the left-back through their academy and established him as a first-team regular in 2015. Taylor won the club’s player-of-the-year award in the 2015-16 season but submitted a transfer request before the start of last term after resisting efforts by Leeds to extend his deal. United rejected that request and retained Taylor through both the summer and January transfer windows but the club resigned themselves to losing him to the Premier League after he refused to play in the last match of the 2016-17 campaign, a 1-1 draw at Wigan Athletic. The club subsequently disciplined Taylor but made him the offer of a new two-year deal to secure their right to compensation under EFL regulations. 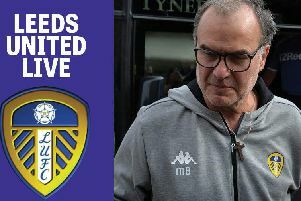 Despite his contract expiring on June 30, the governing body’s compensation rules required Leeds to continue paying his salary until a transfer elsewhere was complete.